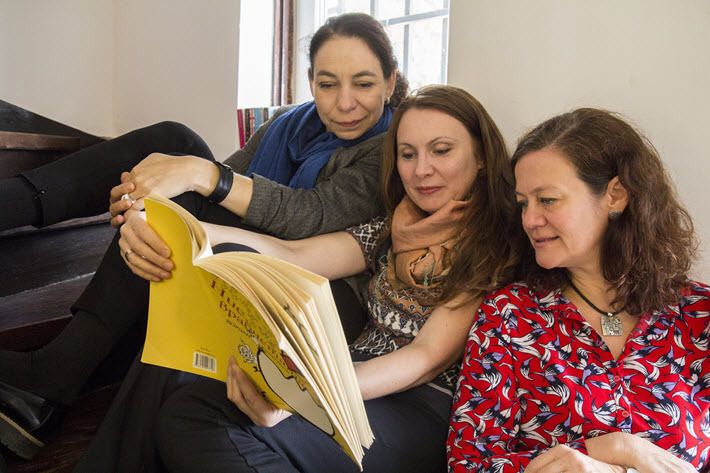 Responding to statistics on falling reading comprehension among young readers in Bulgaria, a trio of literacy workers is testing a new site that makes a game of book quizzes and rewards accomplishment. The Bulgarian online platform Knigovishte (BookMonster) is in a soft-launch stage at this point, and is designed to foster children’s and teens’ readership through quizzes on books. The system encourages users to collect points and other incentives, upgrading their reading levels as they share book recommendations, communicate with peers, and write digital diaries. Designed for children and teens aged 5 to 16, the platform is currently available online in a free edition, and its founders say they plan a full launch on May 24. Created by three associates whose professional experience is in the country’s cultural and educational nonprofit sector—Yana Genova, Dessy Gavrilova, and Iskra Djanabetska—the startup has been inspired by similar platforms established for the German- and Spanish-language markets, Antolin.de and Leoteca.es. “BookMonster,” says Genova, “builds a bridge between analog and digital reading technologies. Genova and her two colleagues say they were prompted to create the new platform by worrying reports on reading comprehension skills in Bulgaria—data collected by the Program for International Student Assessment (PISA). 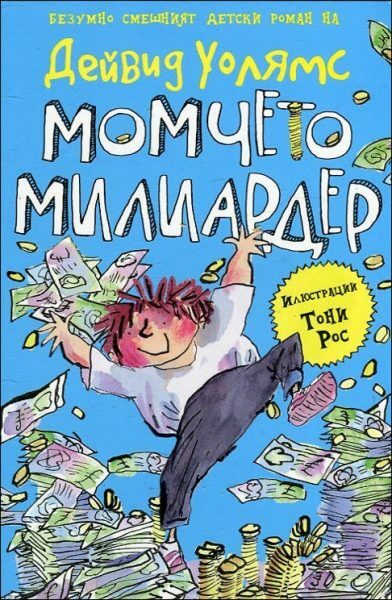 Bulgaria’s national database lists nearly 14,000 titles currently in print for children and young adults. According to PISA survey work, which is coordinated by the Organization for Economic Cooperation and Development (OECD), about 41 percent of Bulgarian students show low functional literacy levels. On a brighter note, fourth-graders in Bulgaria were ranked 13th out of the 50 countries included in the Progress in International Reading Literacy Study (PIRLS) in 2016. But compared with other European Union member states, Bulgaria has a relatively low readership level, as indicated by data published in a report from the Brussels-based Eurostat statistics agency in 2013. Only 55 percent of surveyed Bulgarians told the report’s researchers that they’d read at least one book in the last 12 months, compared with an average rate of 68 percent for the EU’s other 27 member states. Malta reported the same rate of 55 percent, while, compared with Bulgaria, the rate was lower only in Portugal, at 40 percent; in Greece, at 50 percent; in Romania, at 51 percent; and on Cyprus, at 54 percent. To help combat the slide in reading and young people’s interest in it, Knigovishte includes ways for users to organize ad-hoc reading challenges offline, “within a single school or town as well as online,” as Genova tells Publishing Perspectives. The platform offers quizzes on children’s and YA books, but does not provide electronic access to the texts themselves. The quizzes aren’t unlike some of the ones found at Goodreads, Genova says, but with more sense of game play because the BookMonster site is intended for younger readers. 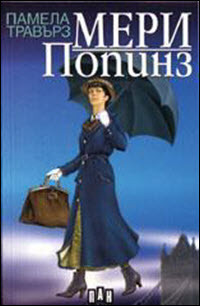 Bulgaria’s national database lists nearly 14,000 titles currently in print for children and young adults. Children’s publishing is one of the fastest growing segments in Bulgaria’s publishing industry, and in the long term, the platform’s founders say their ambition is to propose quizzes on all of the titles in active circulation in the country. The platform has also been praised by the Bulgarian Book Association, and has partnerships with some of the market’s most active children’s and YA publishers for quiz development. Knigovishte’s business model will rely on individual and group subscriptions, targeting schools and other educational institutions as its largest likely clients. “The demo version is free for now,” Genova says, “but it will be subscription-based as of May. More from Publishing Perspectives on children’s books is here. 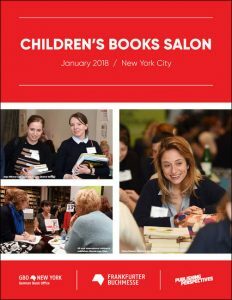 Publishing Perspectives and Frankfurt Book Fair New York present their second annual Children’s Book Salon, at which international book editors and publishers meet with their American counterparts in new-title discovery, rights trading, and networking. More information on the invitational event is here. Our report on the 2018 salon is available for download here.